2318 oldal/111 MB, formátum: PDF. 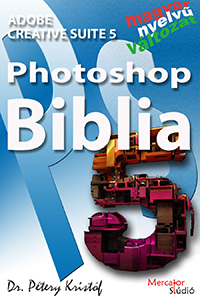 Photoshop CS5 Biblia - 853 oldal/57,1 MB. Illustrator CS5 Biblia - 660 oldal/ 24,3 MB. InDesign CS5 Biblia - 805 oldal/30,0 MB.